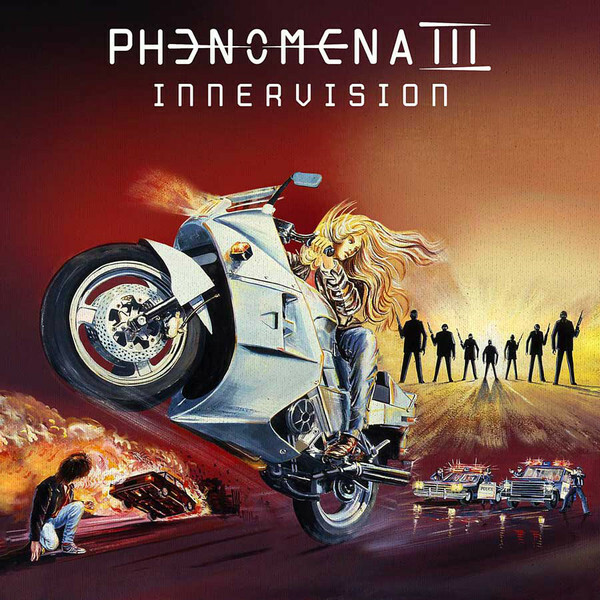 PHENOMENA - III - INNERVISION DEFINITIVE EDIT. (DIGI) | Online Shop | Wizard LTD. Album: "III - INNERVISION DEFINITIVE EDIT. (DIGI)"
Phenomena III – Innervision from 1993 completes the all-star Phenomena trilogy, as created by Tom Galley. This DEFINITIVE EDITION has received a 2018 remaster and the booklet features new liner notes, including new comments from Tom Galley, along with alternative artwork and rare pictures. This re-release has been fully endorsed by Tom Galley, who has supplied the originally intended front cover artwork, which appears for the FIRST TIME EVER!